​​​ HOUSTON – Stream and American National has sold the 93,000-sf property at 3120 Southwest Fwy. to Level Office. 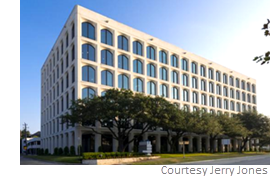 The building in Upper Kirby was appraised at $9.1 million by the Harris County Appraisal District in 2018. "We made a good profit," said Stream's Craig McKenna. Stream will continue to manage and lease the building, which is currently 75 percent occupied.